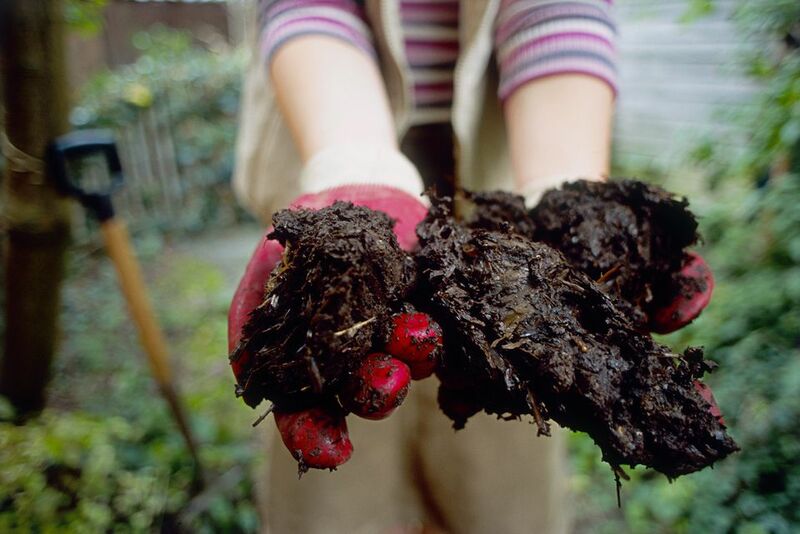 What Is Organic Matter in Garden Soil? Every garden book talks about the importance of adding plenty of organic matter to your garden soil. But what is organic matter and just what does it do for soil that is so wonderful? Is it compost? Manure? Cover crops? Organic matter is all those things and what organic matter can do for your garden soil is nothing short of a miracle. To a gardener, organic matter is something with organic compounds that you add to the soil as an amendment. In simple terms, it is decaying plant or animal material. This most commonly includes: compost, green manure, leaf mold, and animal manure. Moldy, decaying material may not seem like a beneficial thing to have in your garden, but the decomposition process improves the soil in several ways. What Does Organic Matter Do for My Soil? Organic matter added to garden soil improves the structure of all types of soils, from gritty sand to heavy clay. It makes sandy soil better able to retain moisture, so that it is there long enough for the plants to take advantage of. It also improves water drainage,in heavy, clay soil. Another benefit of adding organic material to the garden is that it feeds the microorganisms and insects that make up the balanced ecosystem of the soil. It creates a good environment for all these soil microbes and organisms that work with and enhance a plant's health and growth. Also, the more beneficial microorganisms your soil can support, the less bad organisms will survive. That's because the good guys feed on harmful microbes, like nematodes and certain soil born diseases. The beneficial microorganisms also release nutrients into the soil when they die and decompose. So the more beneficial microorganisms that are in the soil, the more nutrients will be in the soil. Organic material contains acids that can make plant roots more permeable, improving their uptake of water and nutrients, and it can dissolve minerals within the soil, leaving them available for plant roots. Many organic amendments also provide some additional nutrients to the soil, although organic matter is not considered fertilizer. Organic matter improves the quality of your garden soil and helps to keep your garden in balance with nature. You can add it as an amendment and work it into your soil or take the easier route and use it to mulch your garden. It will eventually work itself into the soil. Organic matter does so many wonderful things for a garden, it’s just silly not to take advantage of it. There would be no organic gardening without organic matter. What Makes Great Garden Soil? - Soil may look like it's just sitting there, but many elements go into making a healthy soil. Here's what you need to know about soil texture, nutrients, and pH. Making Good Garden Soil out Of Bad Soil - Don't feel badly if your garden soil doesn't measure up. Few gardens have perfect soil without amending it. Learn what your soil needs to support your plants. Figuring Out How Mulch Amendment You Need - Whether it's mulch or compost, there are simply ways to calculate who much to add to your soil. Clay Busters - Plants for Clay Soil - Clay soil can be particularly difficult to loosen. These plants have deep roots that help breakup the soil, with no effort on your part. Organic Gardening Essentials - The basic premise of organic gardening is to feed the soil and let the soil feed the plants. Gardening organically will help keep you soil in good condition. How to Read a Fertilizer Label - Some plants are just plain big eaters, so there will be times when feeding your plants a bit of supplemental fertilizer makes sense.